An all new take on some classic tales starring the cutest baby animals you’ve ever seen! 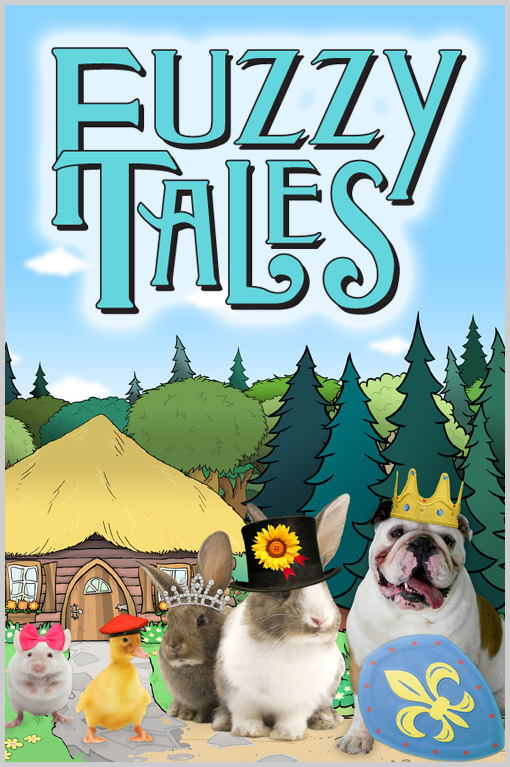 Fuzzy Tales uses “creative casting” to put a modern spin on these treasured stories. Snow White is played by Prudence the pug, Goldilocks as played by a ginger kitten, and Little Red Riding Hood as played by a duckling! A captivating blend of live action animals and beautiful animated backgrounds, Fuzzy Tales offers a fresh, spirited approach to mixed media that is adorably irresistible.